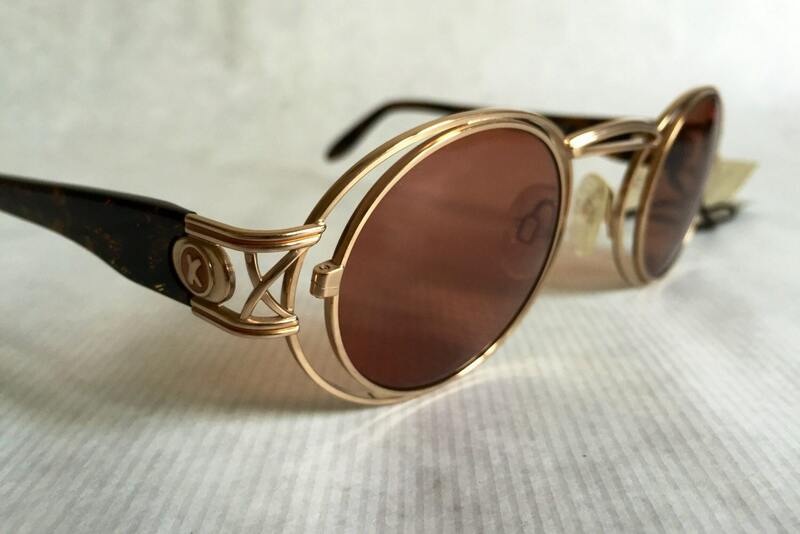 Beautiful frame with double front and intricate details. 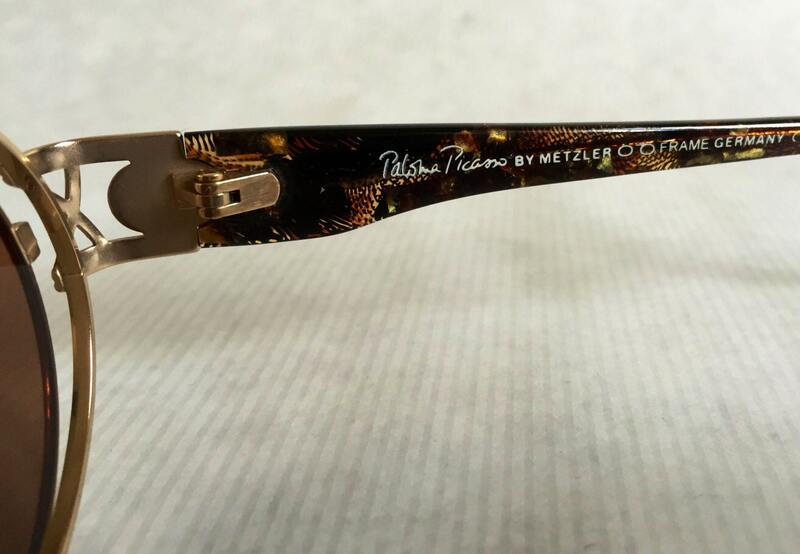 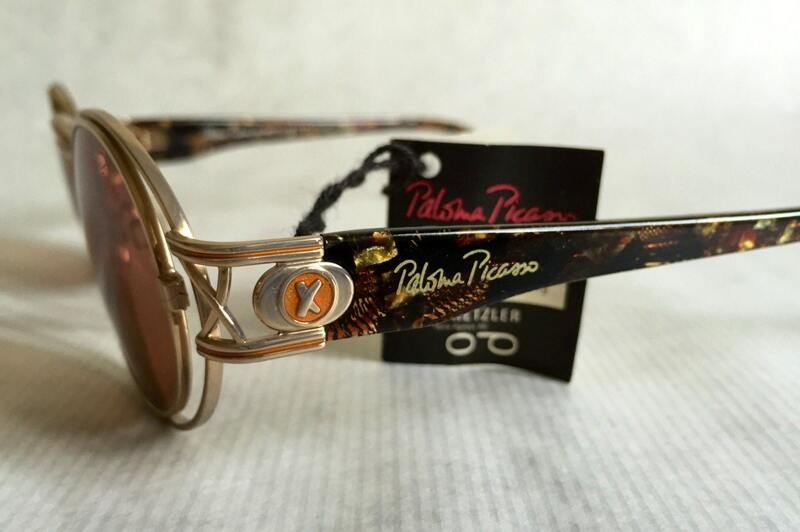 Pamela Picasso logos and signature "X" on tortoise temples. 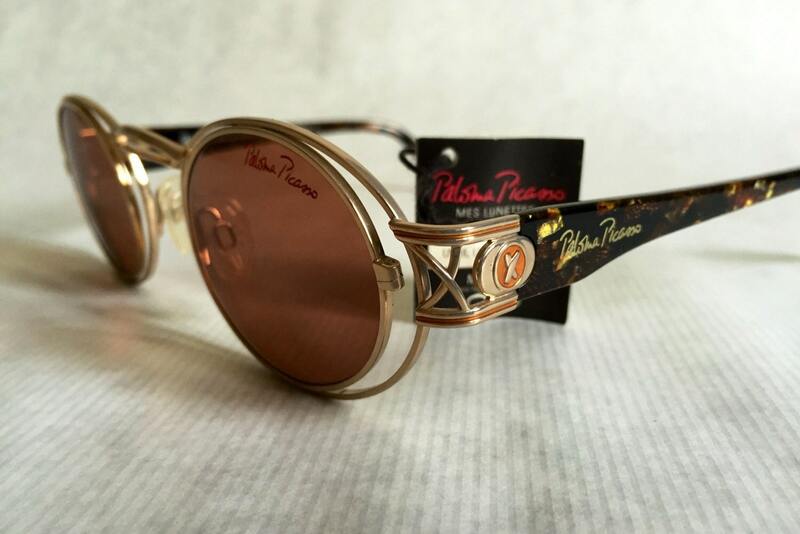 Color Lenses: Dark brown with 100% UV400 protection and red Paloma Picasso logo. 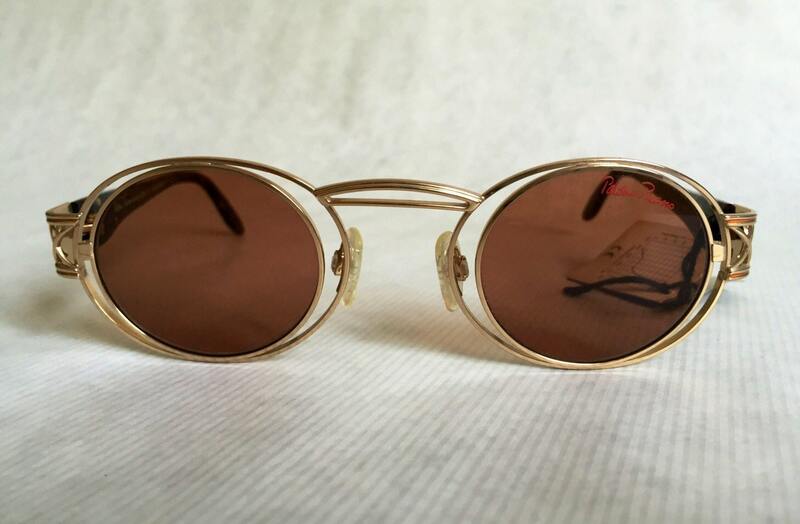 One small scratch from storage on the right lens, does not affect vision.